As an event host, your choice of venue and entertainment often make or break your event. When guests RSVP for a large private event, they arrive expecting to be dazzled with something new and exciting. The point of your event is to ensure everyone has a good time and leaves with cherished memories of your party for years to come. The most unforgettable parties and gatherings are remembered for their boldness and creativity. Forget booking a stuffy banquet hall for your private party this year; instead, host your next large-scale event on a gorgeous private luxury yacht. Imagine the joy of your guests as they float along against the picturesque New York skyline with hundreds of their closest friends or coworkers. As a full-service private yacht charter specialist in New York City, booking your mega event with Metro Yacht Charters is the perfect way to take your event to the next level in 2019. Whether you need to book a corporate event, wedding, anniversary party, professional conference, or over-the-top Sweet 16, Metro Yacht Charters offers the large yacht for you. The Cornucopia Majesty is the largest New York luxury yacht in the North East, measuring at 30,000 square feet. Five dining areas in an atrium-style format ensure your guests sit comfortably. The perfect venue for banquets, award ceremonies, weddings, or galas, the Cornucopia Majesty accommodates up to 1,000 guests. 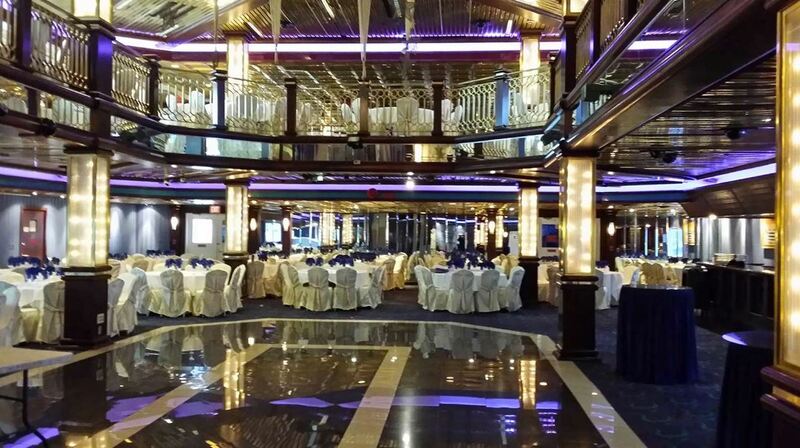 This yacht is a four-leveled ship with a stage for entertainment or grand presentations. Another perfect option, the Hornblower Infinity also offers space for up to 1,000 guests. Featuring modern design and multiple decks, this is a great choice for hosting sit-down or buffet dinners and cocktail events. Guests adore the updated features of the Hornblower Infinity and appreciate the gorgeous rooms and contemporary spaces. It is your year to host the event of a lifetime. Experience first-class service, excellent food, and convenience by hosting your large-scale event in 2019 with Metro Yacht Charters. ← Take Your Team Building Out to Sea!